The timely transportation of staff ensures that an organization can best utilize their most valuable assets- their people. Select a Shuttle offers a number of solutions tailored at various levels within your organization. Exclusive chauffer services- VIP coaches, and small mini vans for site visits/ team building events ensures that the team remains together between their various destinations. A client portal can be created to allow admin staff and management to easily login to: make new bookings, manage existing bookings, track vehicles and view financial statements. 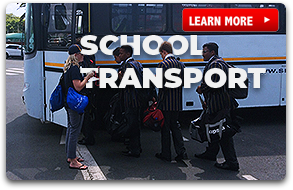 After hours transport management- legislation in South Africa is placing increasing pressure on employers to provide suitable transport outside of standard working hours. Select a Shuttle has a variety of communication, ticketing, tracking and reporting systems to manage this process that provides the right information and service to both the employer and their employees.